Give the Gift of a Beautiful Smile this Valentine’s Day! Valentine’s Day is just around the corner! Are you still looking for a unique gift for that special someone in your life? Consider giving the gift of a beautiful smile to a loved one – or yourself! With Professional Strength GLO Teeth Whitening, you or your sweetie won’t even need to set foot in Dr. Sasson’s high-tech office in Brookline, MA! The no-mess solution and heat-guarded, LED activated mouthpiece combine to make in-home teeth whitening a breeze. Call our office today to purchase a Professional Strength GLO Device with Whitening Gel. Need a brilliantly white smile in time for a hot date? You’re in luck. Call our office today and schedule an appointment for an in-office GLO Whitening. Dr. Sasson will give you a brighter, whiter smile in just 45 minutes. Call Boston Smile Center today, and give yourself or your loved one the gift of a dazzling smile. Comments Off on Give the Gift of a Beautiful Smile this Valentine’s Day! 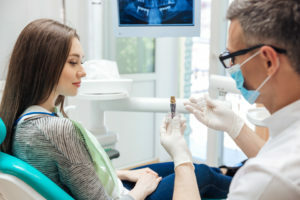 Whether you’re hoping to undergo teeth whitening, orthodontic treatment, or porcelain veneers, deciding to enhance your smile cosmetically is a big decision, and one that shouldn’t be taken lightly. After all, how can you know for sure that your smile will turn out like you’ve always imagined it? What if you’re unhappy with the look of the final results? These are difficult questions. Other dentists may try to pressure you to go in blindly, but here at Boston Smile Center, we know that pictures are worth a thousand words. That’s why Dr. Sasson has invested in SmileMagic, a revolutionary new digital imaging tool that can show you a precise image of what your brand-new smile will look once treatment is over. Guessing games and crossed fingers are now a thing of the past for patients in Brookline, MA and beyond! It’s simple – our specially trained imaging technician will utilize SmileMagic’s software to manipulate digital photographs of your current smile according to the detailed instructions provided by Dr. Sasson. Both professionals will work together closely, putting in however much work is needed until the new picture is an accurate representation of what your brand-new smile will look like after treatment. Our team will be happy to show you the outcomes of a variety of different procedures, including orthodontic work and porcelain veneers! With the help of SmileMagic, patients who come in to our Brookline office don’t have to second-guess themselves about procedures; instead, they can have a direct look into the future! Dr. Sasson and his team are committed to providing smiles of all shapes and sizes with thorough, personalized care that puts patient comfort first. Contact our Brookline office if you have any questions about our services, or if you’re ready to schedule a FREE consultation with Dr. Sasson. When you think about your smile, do you ever consider what effect it might have on your overall health? If you don’t, don’t worry. 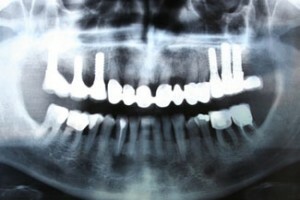 It’s normal to think of your smile and your overall health as being completely separate. 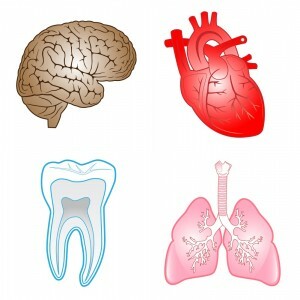 All of which is why regular visits to Dr. Sasson’s Boston dental office are so important. Through regular dental exams and cleanings, Dr. Sasson and the rest of our Boston team, we can help maintain a healthy smile that will support your overall wellbeing. How often should you visit? The answer to that question is different for every patient, but in general, we recommend that patients see us twice a year, or at least once every six months. Has it been longer than that since your last visit? Then why not call us today? At Boston Smile Center & Laser Dentistry, Dr. Sasson and his team are dedicated to friendly, helpful service that will improve your oral health, your general wellbeing, and your quality of life.